Reading is something I have always loved to do. I spent my summers reading book after book caught up in the worlds created by all kinds of amazing authors! I knew that I wanted my children to grow up surrounded by books and stories, not only for literacy development but for creative inspiration. There is nothing quite like the combo of a well written story and a readers imagination! As a young girl I remember the time I met the author of Malcom’s Runaway Soap, Jo Ellen Bogart. 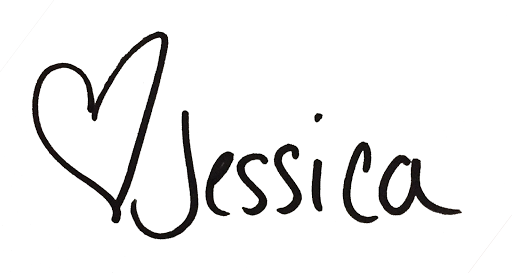 It was so exciting to listen to her tell the story she had written – I was in awe. My signed copy was read over and over again until I had it memorized! I never forgot that moment, it was the first time I felt like I too could be a writer some day. 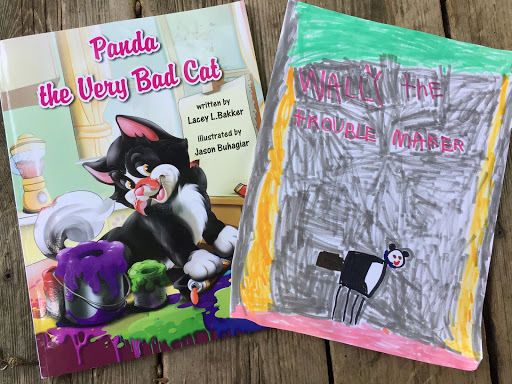 Panda the Very Bad Cat written by Lacey Bakker, was gifted to my children by a dear friend and quickly became a favourite. This past June the local school was hosting their annual open house and I saw Lacey’s name on the program! I thought to myself how nice it would be if my daughter experienced that author to reader connection I did around her age. The day of the open house my girl skipped off of the bus SUPER excited to tell me she met the author of Panda the Very Bad Cat and that Panda was a real cat. This pure joy is like no other, it is marvellous to watch. Markers and paper were an immediate request since she too was going to write a story about Wally the trouble maker 😉 . I than told her that Lacey had gone to her school once, as did I. The concept floored her. This fantastic story was written by someone that I had once shared the same halls with and now she gets to walk them too. Simply wonderful. I’m so thankful my little girl was able to sit in on the Panda the Very Bad Cat reading, it meant the world to her and fuelled her love of books even more than I could have dreamed. She still wants to be a writer and talks about that day in the gym as if it just happened. Check out Panda the Very Bad Cat if you haven’t already! It is adorable. Lacey also has a blog I will link below. If you are a cat lover, you will really enjoy it! Also… Lacey’s Pandamonium Publishing House just released a new book Unfrogged! Unfrogged was written by another alumni of our grade/high school – Tamara Botting. I haven’t had a chance to snag a copy yet, but I look forward to reading it! If you happen to be an author of a children’s book, you are a hero in their mind. That’s the miracle of childhood – They see all the greatness that as grown ups we tend to pass by. And if you otherwise (or also!) write a blog, novels, fact or fiction – you are my hero, and very likely a hero to thousands of others too. The gift of reading is incredible, it allows us to learn, grow… it makes us feel. So read to your baby, toddler, child, cat, dog – read to yourself! And if given the opportunity, let the writer know you enjoy their work. I know as a newish blogger I love hearing from my readers! Go grab a book and go read under a tree. Stay tuned for Lacey Bakker’s book Deer Diary coming October 2017!